CF are cut along the weave. 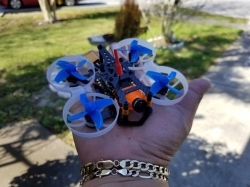 Prop guards are not included and must be purchased separetly see link below. 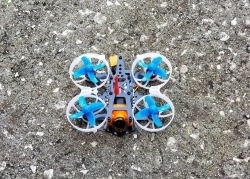 with HD setup or standard non HD EOS2 camera for an even lighter build. 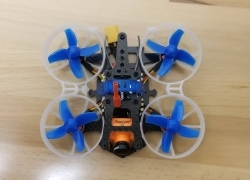 -Remember that this is not a direct conversion kit for your Beta75x. 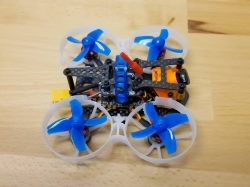 This frame supports 20x20, 16x16 and 36x36 so you can use a wide variety of stack , use the one you think that would work best for your build. The recommended build is just a guidline. 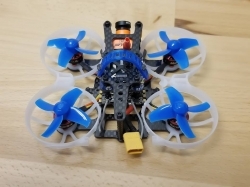 -Following the recommended build will saves you a lot of headache avoiding the hassle of sourcing for parts thats can be hard to find. -Keep your build as light as possible by using lighter components .Proper cable management is also very important to save on weight. 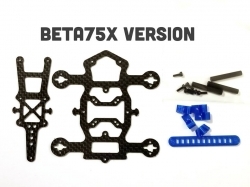 -For Beta75x version kit you will need to cut the Beta75x frame into 2 or 4 parts using a simple wire cutter. 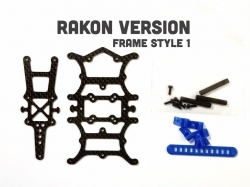 -For M7/Pro2 version kit you will need to cut the M7/Pro2 frame individually. 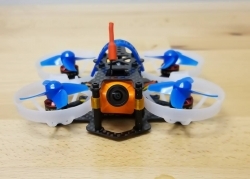 -The Beta75x frame/guards have a smaller M1.6 holes vs M2 on the 1103 motors, slightly widening the holes on the plastic guards will makes motor mounting a breeze. This only applies to the Beta75x guards and not the Rakon guards. 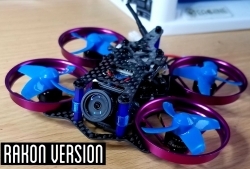 -Remeber this is a cinematic quad meant for smooth slow HD recording , it was never meant to be as fast as your stock 75X or M7 its just not gonna happen as the weight on the HD camera alone is already at 13g. 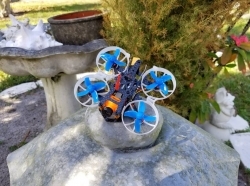 you can however make it more responsive and punchy by downgrading to a cmos non hd camera or even remove the prop guards and without a prop guards you now have more room for a bigger 48mm or a 1.9" props! Note: Pictures shown are for illustration purposes only and some are not included with the kit, see product description for details. 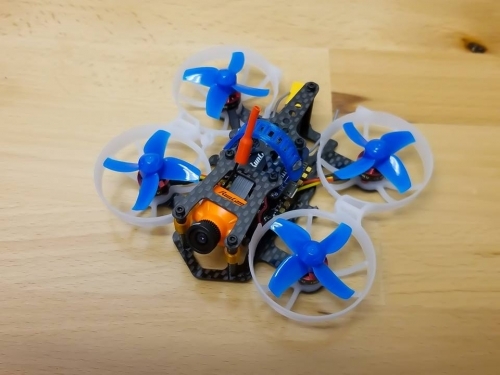 Check out the build update from Albert Kim's Youtube channel, this time he is using the Mobula7 parts for an even lighter build.